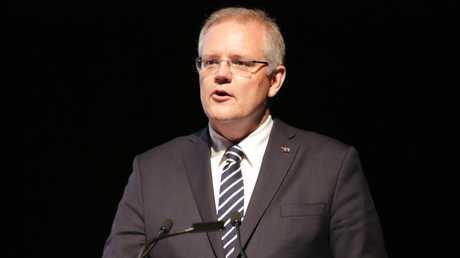 Prime Minister Scott Morrison detonated a population bomb on Monday night at The Daily Telegraph 's Bradfield Oration at the NSW Art Gallery. After more than a decade of virtually unchecked population growth, the PM flagged a cut to immigration numbers by around 30,000 people per year to 160,000 - and he bravely did it in front of an audience of heavy-hitters from the construction and university sectors, which profit most from turbocharged population growth. Morrison first wants states and territories to tell him their "carrying capacity" for extra people in time for a "responsible discussion" about immigration at December's Council of Australian Governments meeting. 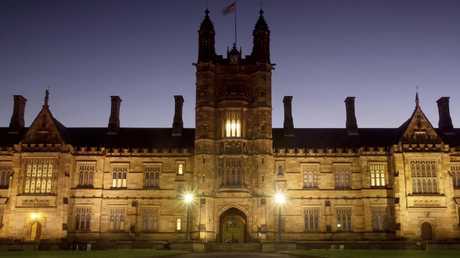 "I believe this is likely to end up in revising down the permanent immigration cap in Australia," he said. "My expectation is we would revise down. We're running 30,000 [migrants] below where it has been, and it wouldn't surprise me if any process we went through arrived at that sort of territory." He's listened to the concerns of voters about the pace of population growth: "The roads are clogged, the buses and the trains are full, the schools are taking no more enrolments. This is what's being reflected back to us and we can hear that." Morrison is adroitly manoeuvring the country into a sensible debate on immigration, which is driven by the states. As he points out, some states want more growth. He was in Rockhampton last week, for instance, where they want another 10,000 people. 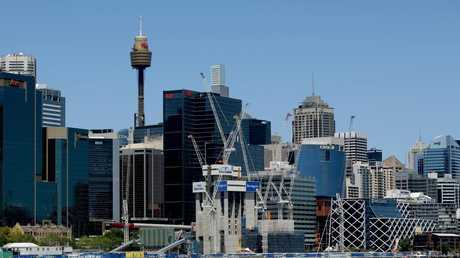 It's just that the cities which are groaning at the seams, Sydney and Melbourne, plus southeast Queensland, are trying to find ways to slow the pace. "A responsible population discussion cannot arbitrarily be about one number - the cap on annual permanent migration … It needs to be a discussion [driven] from the bottom up. "Our migration program needs to be … built into what the carrying capacity of infrastructure and services is because that's what I'm hearing from Australians. 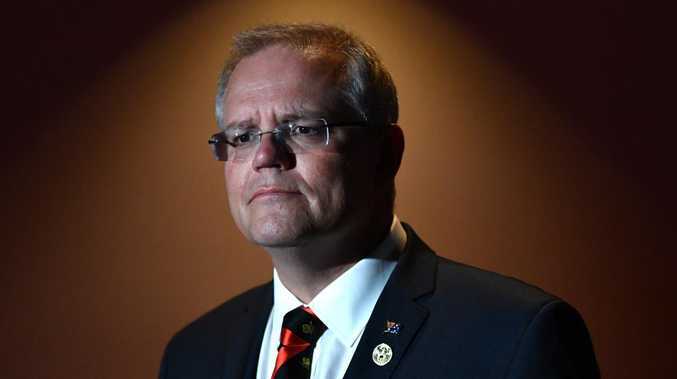 "They're not anti-migration They're not anti-migrant," Morrison said. "I'm certainly not. In Sydney they're certainly not. In Melbourne they're certainly not. They just want to know the growth can be catered for by the infrastructure and services going in." It's a good start, although something needs to be done to break the addiction of our universities on foreign students, who currently number 600,000. And new research this week shows Morrison is on a vote winner. Australians, regardless of income, overwhelmingly support a cut in immigration until transport, schools and housing infrastructure catch up with demand, according to a paper by Jeremy Sammut and Monica Wilkie from The Centre for independent Studies. Australian Attitudes to Immigration: Coming Apart or Common Ground uses YouGov Galaxy polling of 500 Australians who live in the richest 10 per cent of metropolitan postcodes and 500 who live in the least affluent 10 per cent. "Sixty five per cent of residents in the top postcodes and 77 per cent in the bottom postcodes support cutting or pausing immigration until struggling transport, schools, and housing infrastructure catches up with demand," says Dr Sammut. But concern about immigration is not just about overcrowded buses and clogged roads. It's about culture. There is a feeling, especially in Sydney and Melbourne, that migrants who arrive too fast to be assimilated are a threat to community cohesion and Australian cultural values. Cultures are "fragile ecosystems", as Douglas Murray writes in The Strange Death of Europe. They take centuries to develop and can be destroyed in a lifetime. The CIS polling shows Australians want migrants to be required to learn English and Australian values "to promote integration" before they receive permanent residence. John Howard was mocked for creating an "Australian values" quiz, but he anticipated the problems of poor integration and ethnic ghettos. When it comes to whether or not to select migrants on cultural compatibility, rich and poor Australians diverge. A majority of voters in the least affluent postcodes said the cultural and religious backgrounds of migrants should be factored into any selection process, with just one third favouring a non-discriminatory immigration policy. In wealthy suburbs, 40 per cent wanted culture and religion taken into account, while a majority backed non-selective immigration. The irony is that it is in the less affluent areas that most migrants settle, and where the impact of unchecked migration is felt in rapid changes to residents' way of life. In some parts of southwest Sydney you'd be lucky to hear English spoken on the street, as Labor leader - turned NSW One Nation candidate Mark Latham keeps pouting out. Latham's "Saving Sydney" immigration policy would see migrants selected on "national­ interest" criteria. Like Howard, governments need to respond to the growing community perception that integration is failing, or they risk greater polarisation and a collapse of support for an immigration program that has served us so well. almost 30 per cent of Australians were born overseas and almost half have at least one parent who was born overseas. Are they racist and xenophobic? No, they are just as concerned about the fast pace of population growth as anyone else. It's not racist to want a breather so that infrastructure can catch up to population growth. It's not racist to want to maintain your cultural values in your own neighbourhood in your own city. And it's not racist for a government to realise its first duty is to Australian citizens, who already live here.